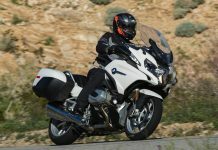 The Motorcycle Safety Foundation (MSF) and its members are partnering with the Virginia Tech Transportation Institute (VTTI) on what is likely the world’s first large-scale, naturalistic motorcycle riding study: The MSF Naturalistic Study of Motorcyclists. Using small video recorders and instrumentation mounted on numerous bikes for 6-18 months, the study will combine unobtrusive, continuous data collection with post-incident interviews to create a comprehensive picture of many factors contributing to both crashes and near-crashes. A departure from traditional crash-causation research, the naturalistic method and technology developed by VTTI was successfully used in a 100-car study in 2005 that included 69 crashes and more than 750 near-crashes. The method is presently in use by researchers across the globe to target nearly every type of roadway user, with the exception of two-wheeled vehicles. This study, expected to be on the road by early 2011, will greatly advance the understanding of interactions among rider, motorcycle, roadway, other roadway users and the environment. "We know of no other naturalistic study for motorcycles," said VTTI Director Tom Dingus. "We expect the study to be very valuable to the Motorcycle Safety Foundation’s work, since we also will examine where and how crash avoidance is successful. With so much information bandwidth coming from the cameras and instrumentation on each bike, we’ll be able to examine details for years, and the findings will be relevant for decades. "VTTI has a vested interest in motorcycle safety, and we see the rising number of motorcycle crashes as a national problem," said Dingus. "Through naturalistic research, we can collect data that will provide guidance to help enthusiasts, industry and others move toward positive safety outcomes." Since Congress appropriated funds for a federal crash causation study in August 2005, MSF has invested over $1.25 million in research on training effectiveness, rider behavior and curriculum development. Now directing its resources toward the VTTI study, MSF aims to create a comprehensive, dimensionalized database to support research that will help reduce crashes. Using real-world data on the interaction of rider behavior and performance with roadway, environmental and vehicle factors, the VTTI methodology provides flexible and accurate analysis of risk exposure. Quantification of rider behavior in both critical and non-critical riding allows the study of how crashes occur and how they are successfully avoided. The Motorcycle Safety Foundation promotes safety through rider training and education, operator licensing tests and public information programs. The MSF works with the federal government, state agencies, the military and others to offer training for all skill levels so riders can enjoy a lifetime of safe, responsible motorcycling. Standards established by the MSF have been recognized worldwide since 1973. The MSF is a not-for-profit organization sponsored by BMW, BRP, Ducati, Harley-Davidson, Honda, Kawasaki, KTM, Piaggio, Suzuki, Triumph, Victory and Yamaha. For safety information or to enroll in the RiderCourse nearest you, visit www.msf-usa.org or call (800) 446-9227.